We ship orders UPS Ground unless otherwise requested. UPS 2nd and 3rd day Air as well as US Postal Service is also available. The actual cost of shipping is added to the order to minimize your expense. Shipping is free for orders totaling $500 or more. Free shipping is UPS Ground. Expedite delivery is customer's additional expense. 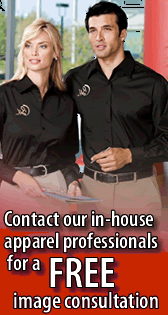 Embroidery proofs are sent via e-mail or USPS Priority Mail when necessary. Returned sample garments are at customer's expense.